The Old Rectory – Dig Delve – An online magazine about gardens, landscape, growing & making. 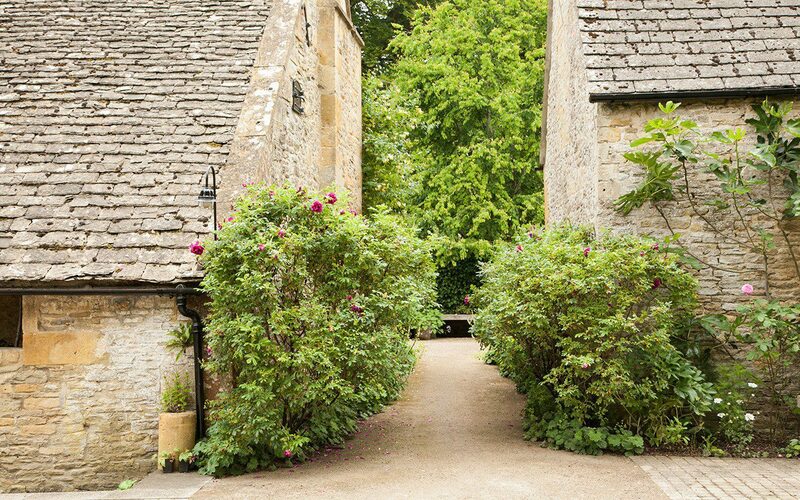 It is 13 years since Michael and Angela Cronk approached me to come and look at the Georgian rectory they had recently bought in the Windrush Valley in the Cotswolds. 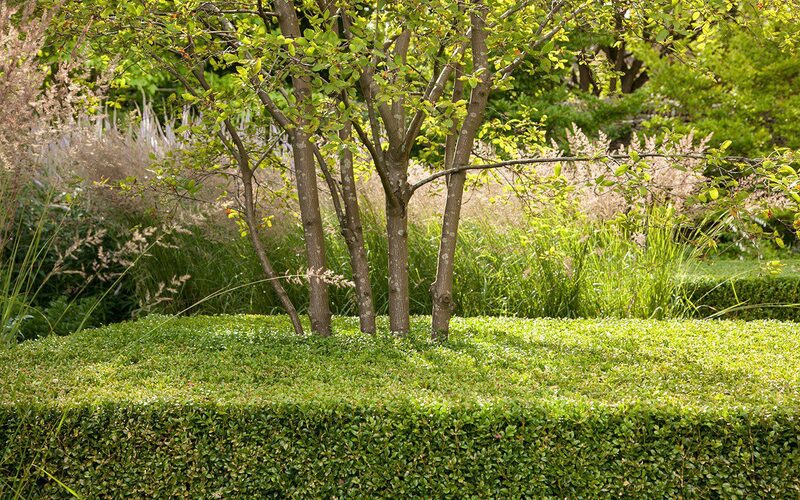 Initially they only wanted me to advise them on replacing the plantings but, after some discussion, I suggested it should be a more involved exercise, which would mean taking apart the garden that was there before and starting again. 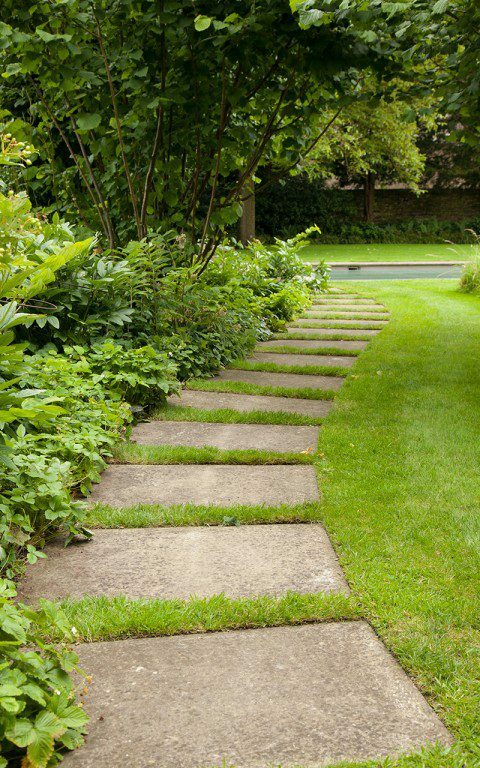 The existing garden had been laid out by Nicholas Ridley, the Conservative Party politician, and although a completely new garden was rather more than Michael and Angela had anticipated, they were confident that a clean sweep was the best approach. Ridley had harnessed water from the river, which was fed across the site through a series of pipes (some of which even passed along the top of a miniature aqueduct) and used in a series of water features. 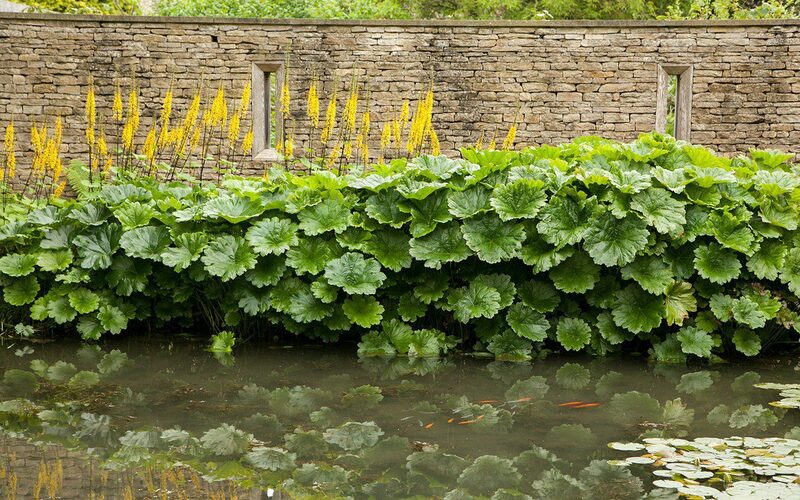 The original bog garden was completely silted up and had been colonised by thickety willows, and some of the pipes that carried water to the canal were broken and had filled the cellar a foot deep. 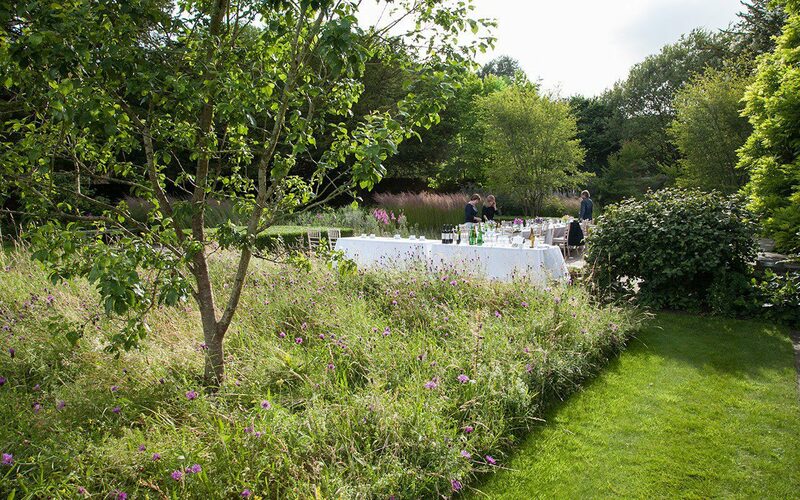 Steve Swatton, the landscape contractor who helped Cleve West win Best in Show for his garden at this year’s Chelsea Flower Show, and who was also responsible for creating all of Christopher Bradley-Hole’s Chelsea show gardens, was our impeccable contractor. With him we created a series of garden rooms that surround the house, which sits in the middle of a near perfect acre. 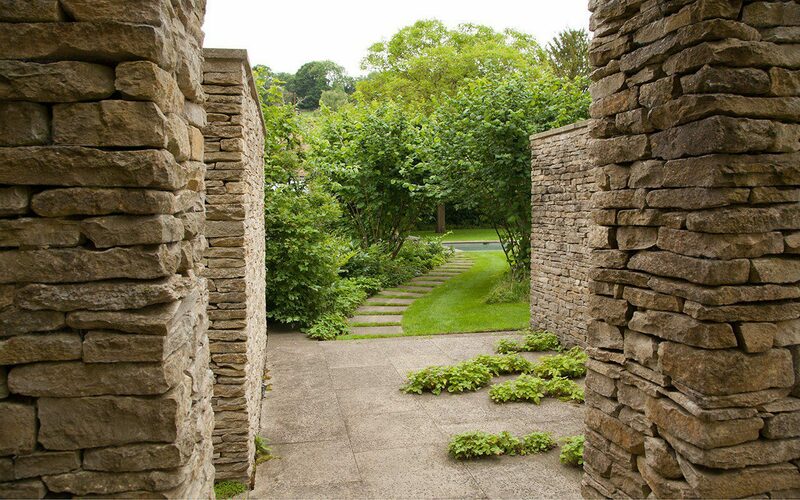 The original stone boundary wall was the inspiration for a series of new dry stone walls, which define each of the garden spaces. 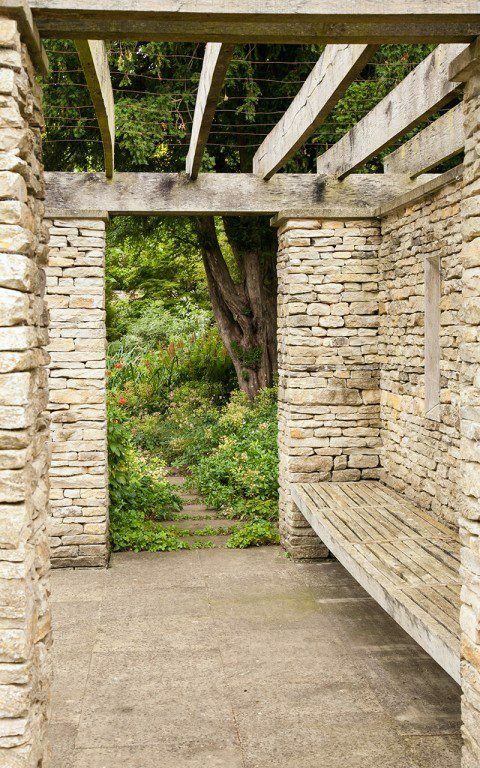 It was essential that these walls were beautifully built and, to that end, Steve employed some of the stonemasons who had worked with Andy Goldsworthy on his dry stone pieces. When they had finished the head stonemason told us that they had carved the initials of everyone involved in the garden’s making into stones in different parts of the garden and we spent several hours trying to track them all down. 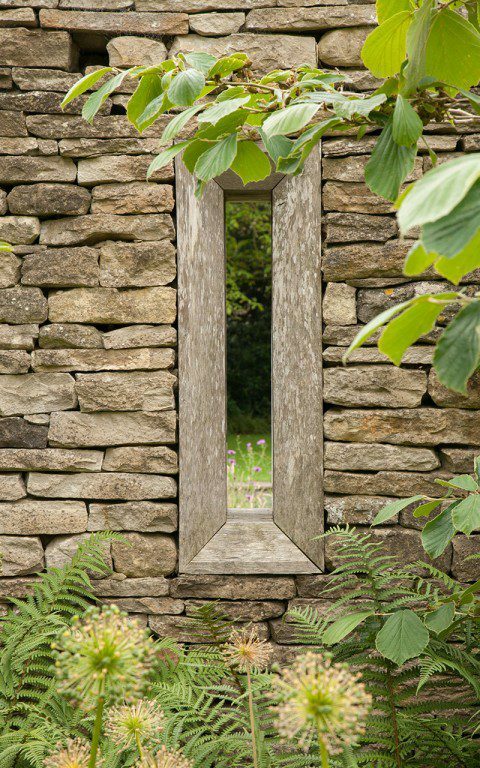 Arrow slots in the walls lined with green oak offer glimpses of the gardens beyond. These teasing views draw you through the space and make visual connections between the enclosures. 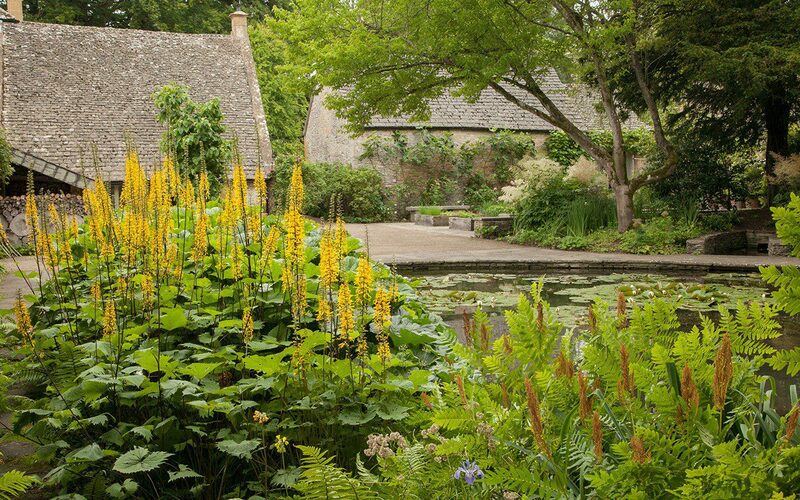 Each garden’s planting is colour-themed to heighten the distinct mood of each. 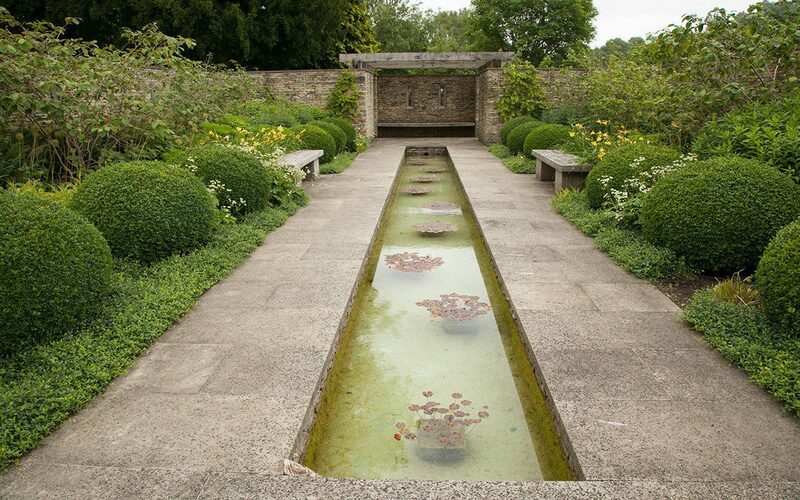 Reached via a rose scented passage between two barns and the immaculate vegetable garden, the first garden area has a new pond at its heart made on the site of the original bog garden. It is open to the River Windrush on one side and was designed to elevate the contrast between fast running and still water by containing it within a clean stone elipse. There are shallow steps down to the river’s edge so that, on a hot day, you can dangle your feet in icy water. 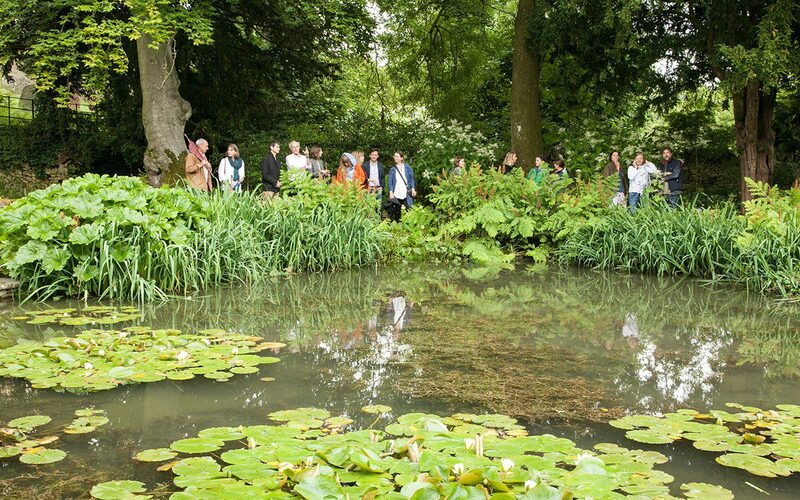 The pond is boldly planted with native and ornamental marginals including Osmunda regalis, Iris x robusta ‘Gerald Derby’, Darmera peltata, Rodgersia aesculifolia, Ligularia przewalskii ‘The Rocket’, Aruncus dioicus and white water lilies (Nymphaea alba). Ancient yews were our fortuitous legacy from a much earlier incarnation of the garden and they form a dark wrap around its perimeter. 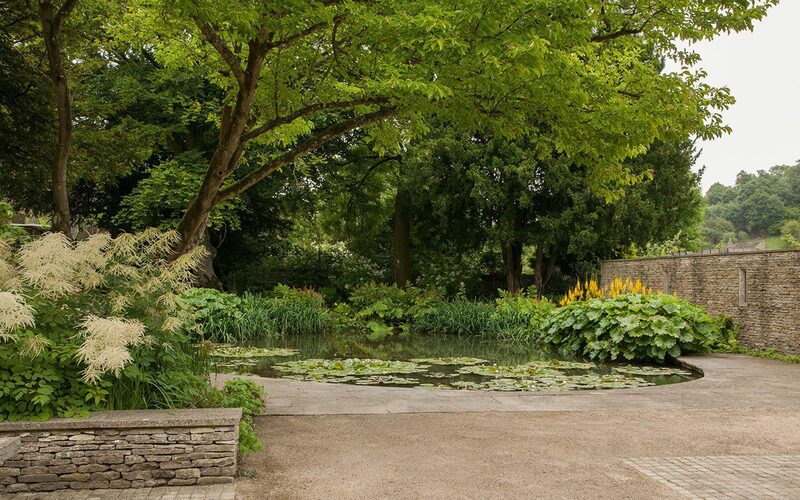 At the back of the pond a woodland walk planted with Sambucus nigra f. laciniata, Luzula nivea, Vinca minor ‘Gertrude Jekyll’ and Euphorbia amygdaloides var. 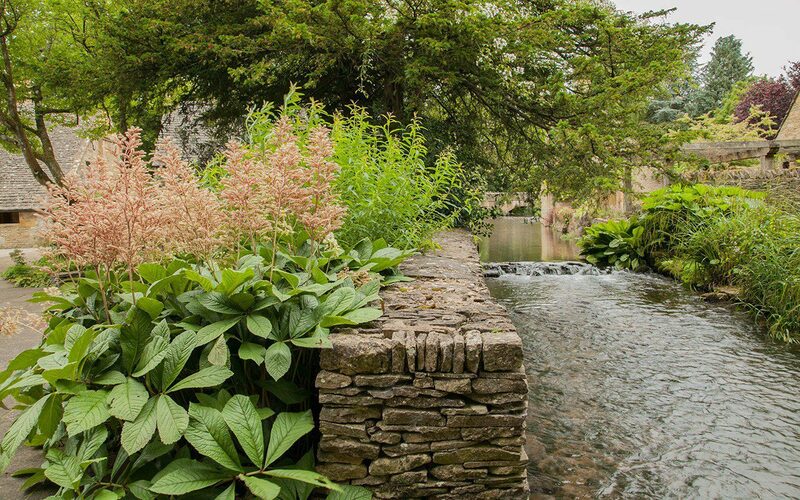 robbiae leads you to the top of the Canal Garden, where the stone walls enclose a bench and support a pergola on which we are growing a white wisteria. The first one died mysteriously last year and so we are now trying with another. 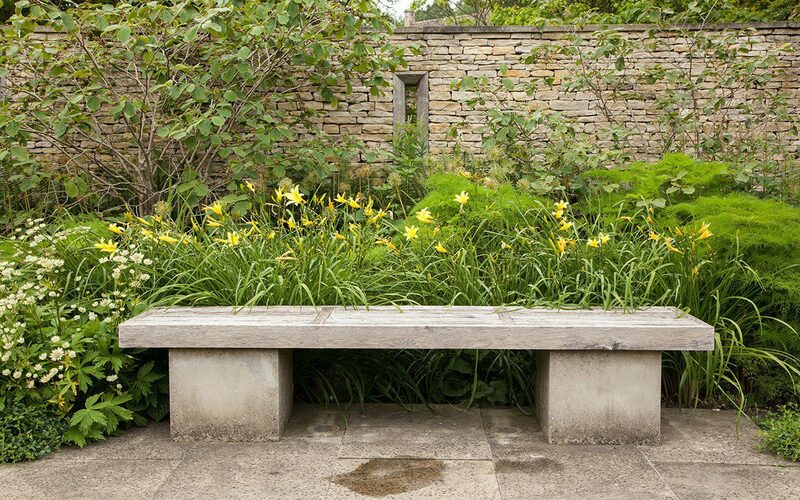 The bench faces the house and gives a view onto the upper half of the garden, which is planted in shades of white and yellow, including Hemerocallis ‘Hyperion’, Chamaenerion angustifolium ‘Album’, the white rosebay willow herb, Selinum wallichianum and white astrantia. Solid structure is supplied by twelve hefty pudding-shaped clipped box. From here you have a choice to explore the far end of the Canal Garden in front of the house, or continue on the boundary circuit which passes through a small nuttery where slabs set into the grass lead you to the top of the swimming pool. 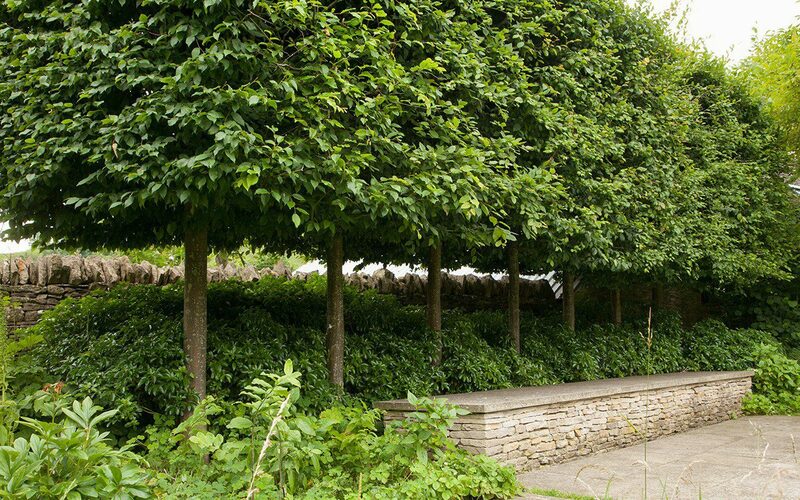 Here a stilted, clipped hornbeam hedge shades a wide stone seat with a background planting of white-flowered and scented Choisya ternata and Clematis ‘Marie Boisselot’. 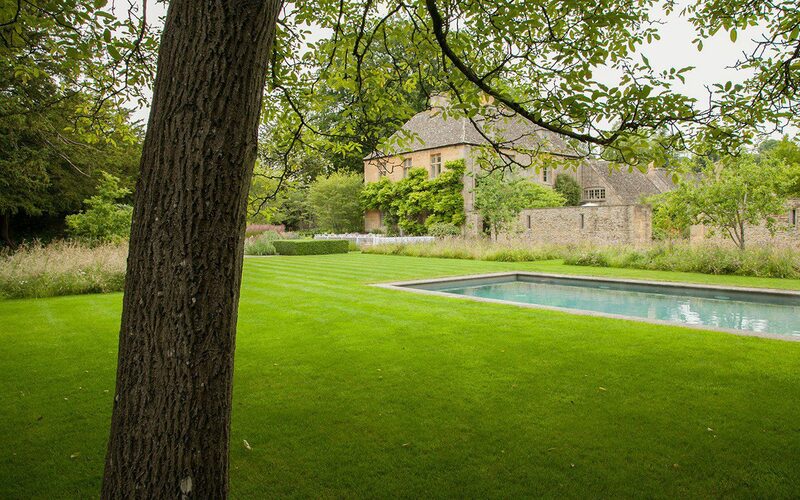 The swimming pool is set in an immaculate lawn with panels of wildflowers into which a number of apple cultivars have been planted. The lawn that was originally in this location is purported to be the one on which Lewis Carroll based the Croquet Lawn in Alice’s Adventures in Wonderland, as he was a friend of the rector and a frequent visitor. The pool is lined with ceramic tiles the same colour as the stone-tiled roof of the house, giving the water a more recessive sea-green hue than the usual turquoise, which always looks harsh in a British garden. 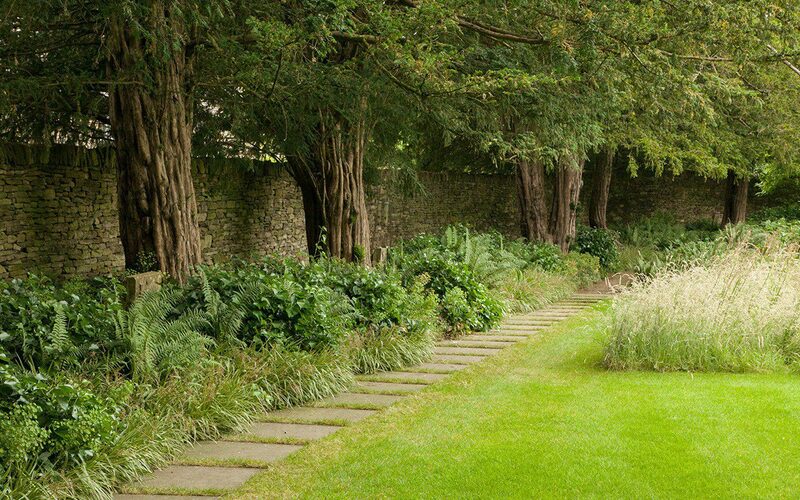 Beyond the pool the Yew Walk takes its name from the line of ancient yews planted against the boundary wall. The trunks were originally cleared of any lower growth to show them to their best advantage. 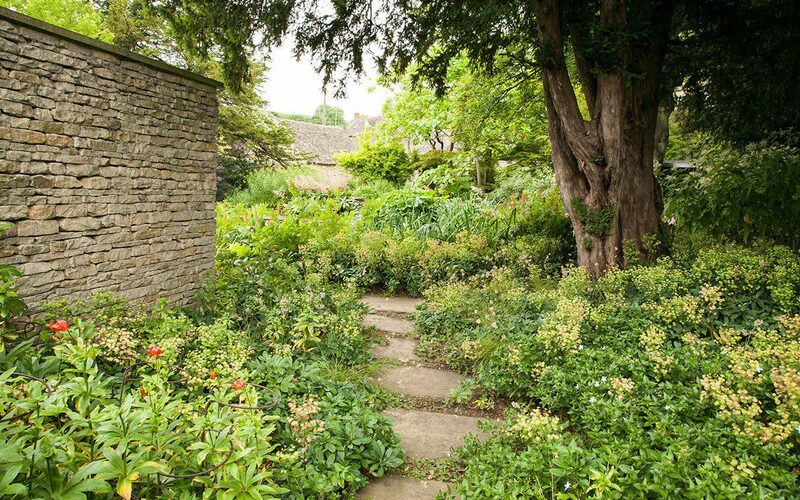 The decidedly tricky area of dry shade beneath them is planted with tough evergreens such as Hedera helix ‘Poetica arborea’, Luzula sylvatica ‘Marginata’ and Dryopteris filix-mas. 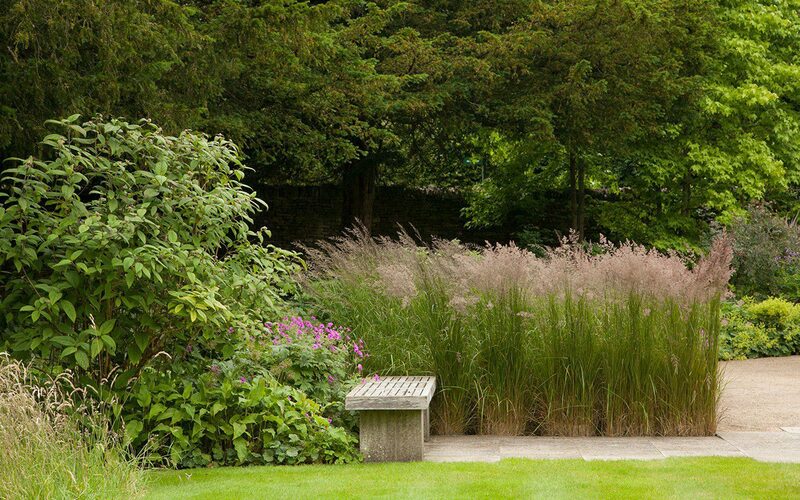 At the end of the Yew Walk the Southern Terrace is punctuated with a number of low plinths of clipped box, which provide a counterpoint to rhythmic plantings of Calamagrostis x acutiflora ‘Karl Foerster’ of exactly the same dimensions. 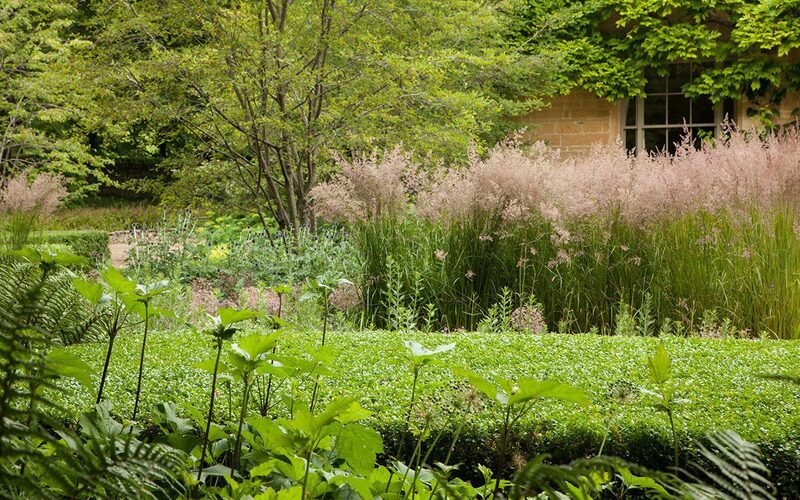 This rectilinear structure, one vertical and static, the other horizontal and mobile, is overlaid with a light and delicate planting in shades of mauve, blue and pink. 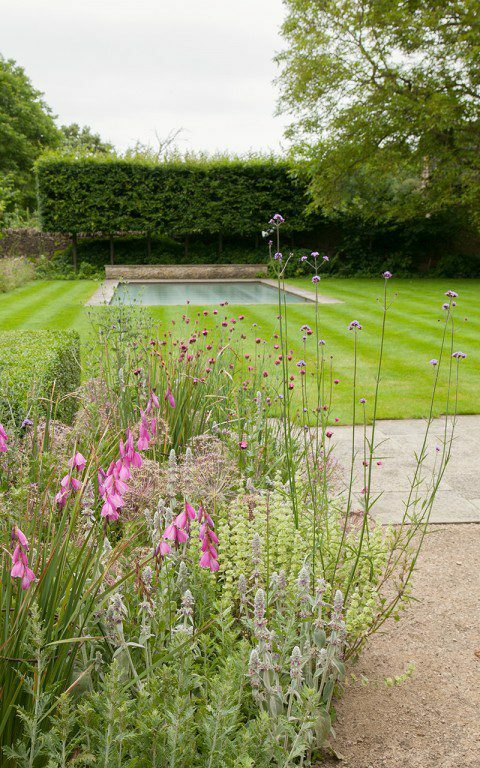 In the open this consists of of dry-climate plants including Dierama pulcherrimum, Echinops ritro ‘Veitch’s Blue’, Verbena bonariensis, Dianthus carthusianorum and Salvia verticillata ‘Purple Rain’. 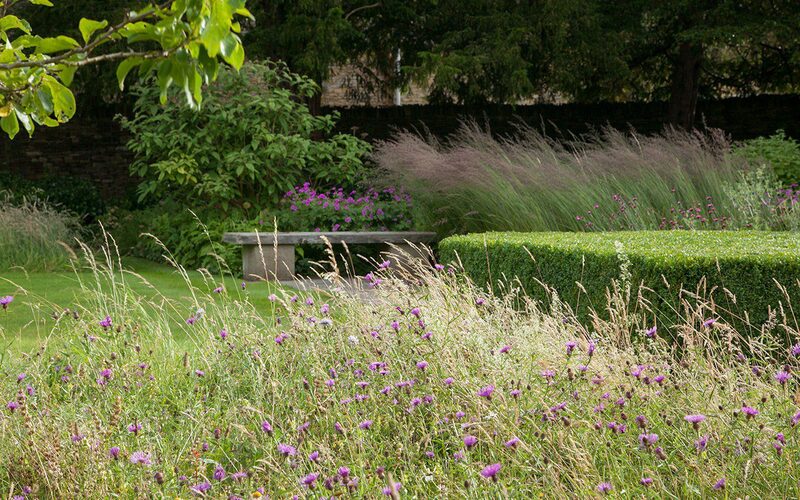 The shadier side includes Rosa glauca, Veronicastrum virginicum ‘Lavendelturm’, Geranium ‘Patricia’, Thalictrum rochebrunianum, Aconitum ‘Spark’s Variety’ and, for later in the season, Anemone hupehensis var. japonica ‘Splendens’. 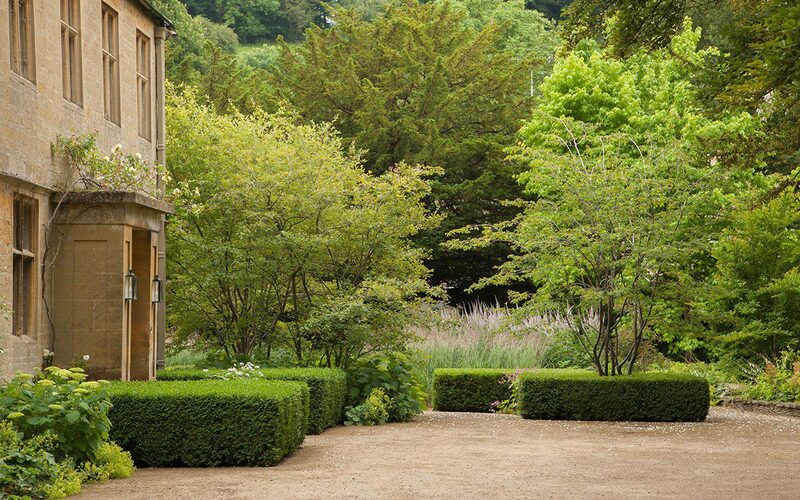 Towards the front of the house three of the box plinths have multi-stemmed Amelanchier lamarckii growing from their centres. As well as holding the corner of the house these volumes provide both a backdrop and a screen for the seating terrace. 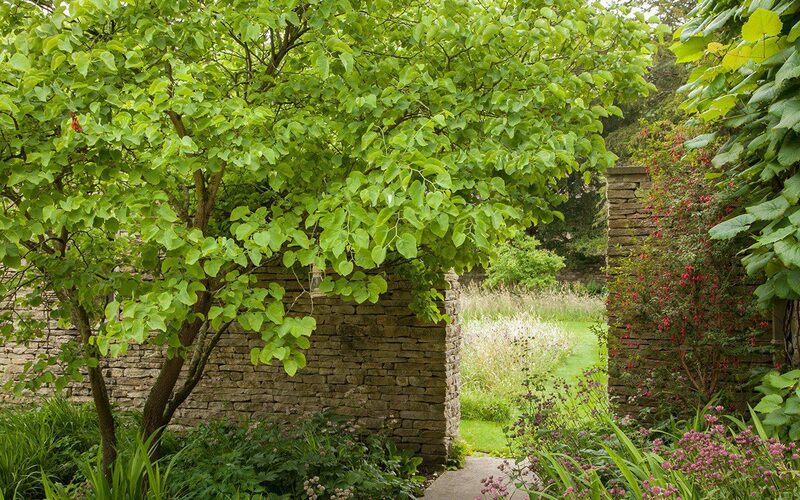 Returning to the back of the house via the wildflower meadow and then through a slot in the dry stone wall you pass beneath the spreading limbs of a Cercis siliquastrum ‘White Swan’ and arrive in the lower half of the Canal Garden. 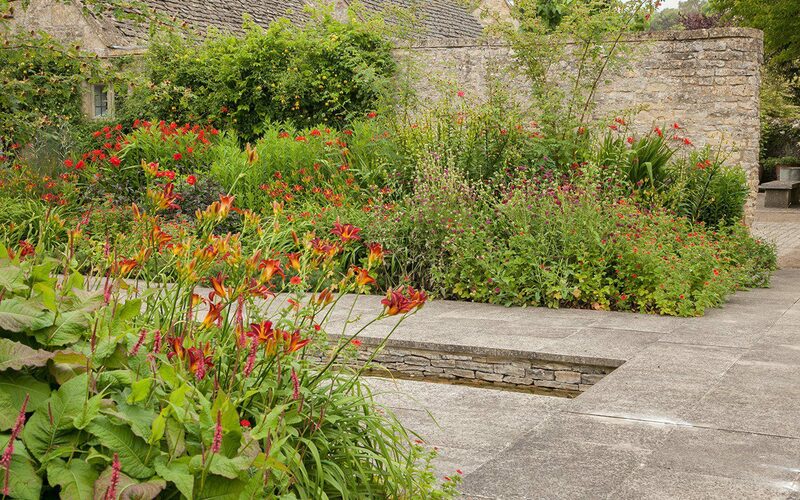 The richly coloured planting scheme here was inspired by Angela’s request to have some Fuchsia magellanica somewhere, a reminder of the summer lanes of her native Ireland. 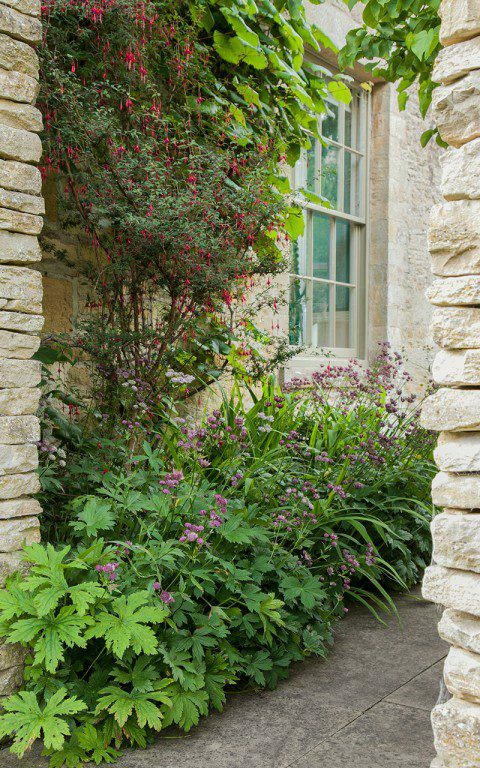 These are wall-trained and underplanted with Astrantia ‘Hadpsen Blood’ and Geranium ‘Patricia’. The beds to either side contain a succession of flowering perennials, shrubs and climbers in shades of scarlet, orange, yellow and bright pink including Persicaria amplexicaule ‘Taurus’, Clematis tangutica ‘Bill Mackenzie’, Sanguisorba officinalis ‘Tanna’, Hemerocallis ‘Stafford’, Knautia macedonica, Crocosmia ‘Lucifer’ and Potentilla fruticosa ‘Gibson’s Scarlet’. 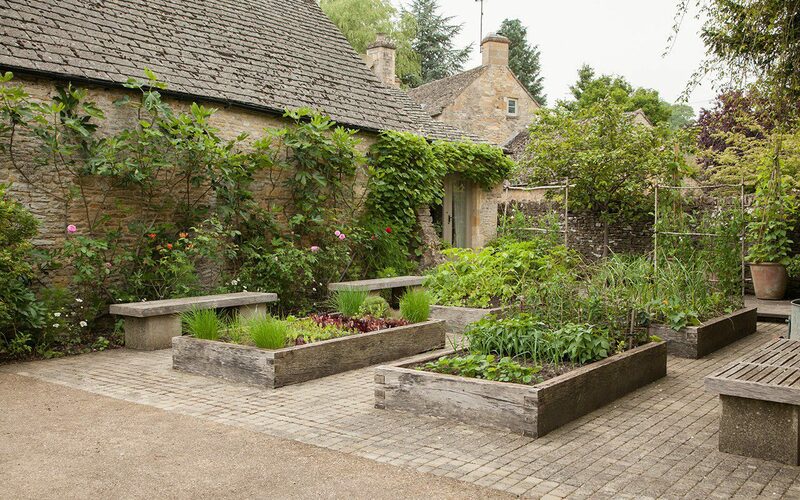 Michael and Angela have been some of our most generous and thoughtful clients and have been completely committed to the collaborative process and the importance of working with people who have the skills to make and maintain a garden like this. Jacky Mills was recommended to me by Fergus Garrett at Great Dixter, due to her keen eye for detail and strong work ethic. 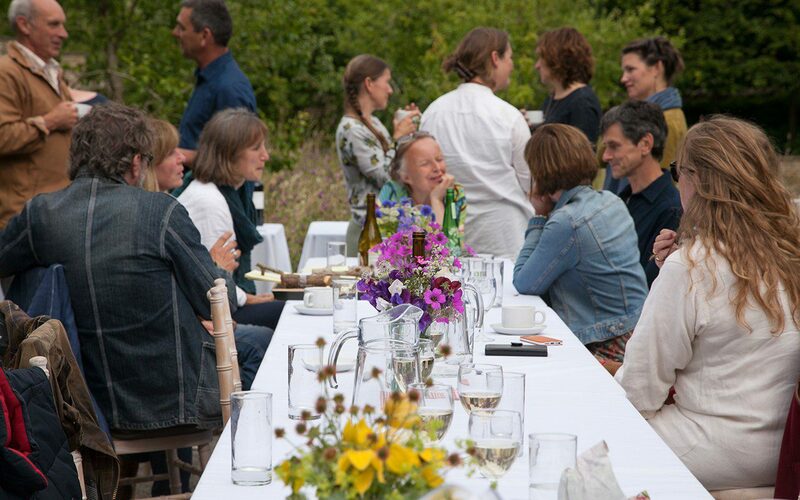 She and her partner, Ian, started working with me before the garden was complete and helped to plant it, which has given them a huge sense of investment and a deep understanding of the desired effect. 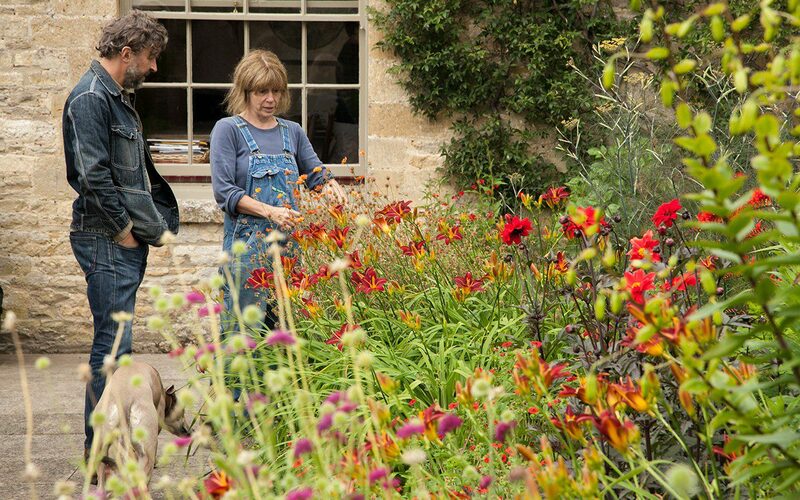 Without them the garden would not be possible. 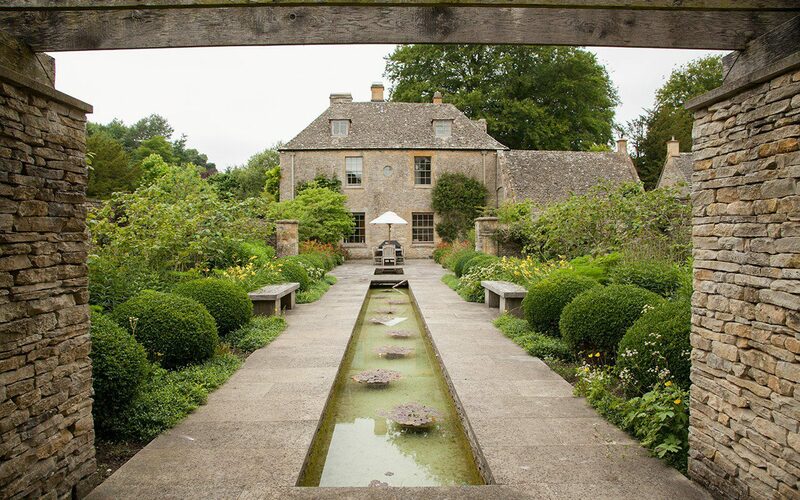 They maintain the garden impeccably on two days a week and bring a lot to the table with their breadth of experience working, as they have, for other designers like Arne Maynard and Sarah Price. They are now helping me with the garden at Hillside. Michael and Angela had the idea to hold a garden party for Jacky and Ian and their friends and colleagues including other designers and gardeners from local and notable west country gardens and so, last week, we spent a magical afternoon chatting, wandering and eating in the garden, in a way that allowed everyone to relax and really feel part of the space.